There is so much bad news around at the moment, it becomes a particular joy to receive good news. And good news is all the more likely to be believed when it is personally delivered by a loved and trusted messenger. Advent is about the message of God coming to save. 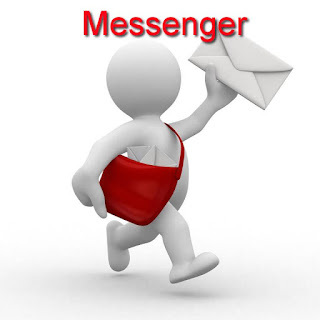 The messengers who herald that coming bring good news of comfort, peace and joy for those who receive that message. who says to Zion, 'Your God reigns'. God sends all sorts of messengers, sometimes in the form of angels, sometimes as prophets, but most often God's messengers of peace and joy are ordinary people. What message are you bringing today?